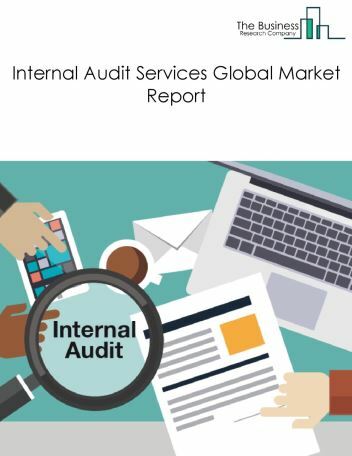 The global internal audit services market was valued at $33.6 billion in 2017. North America was the largest geographic region accounting for $12.3 billion or 36.7% of the global market. The USA was the largest country accounting for $9.9 billion or 29.4% of the global internal audit services market. Internal auditing firms are highly investing on cognitive Intelligence, and robotic process automation (RPA) to help analyze and automate the large inputs of digital data arriving from large scale internal auditing projects. Cognitive intelligence analyzes large data and automatically picks out anomalies based on trends that the system has learned from previous analyses. RPA uses pre-set rules and applies it to large data and helps the internal auditors to automatically identify, assess, and monitor risks. Cognitive intelligence and RPA helps in drastically cutting down the manual load of internal auditors. KPMG and Deloitte are some of the internal auditing companies who are actively investing in cognitive intelligence and RPA which would exponentially increase the internal audit services market in the upcoming years. The companies covered are Ernst & Young, Protiviti, Deloitte, PwC, and KPMG.